A story of two hearts. A story of two hearts . We are a professional photography services company based in Kolkata . We have been running a professional photography business for 4 years, specializing in Wedding, Candid Wedding, Hindu Wedding, Bridal Portraits, Couple Portraits, Pre-wedding Shoots, Engagement, Reception, Concept Wedding, Bengali Wedding, Brahmin Wedding, Kids Portraits, Birthday, Babies & Kids and New Born photography. We undertake customized photography requirements. Some of our products and services include Lamination, Coffee Table Book, HD Videos, Promo Videos, HD Highlights, Poster, CD / DVD, Frames, Photobook, Montage, Enlargement and Calendar. We provide services in West Bengal and All Over World. We are proficient in Hindi, English and Bengali. 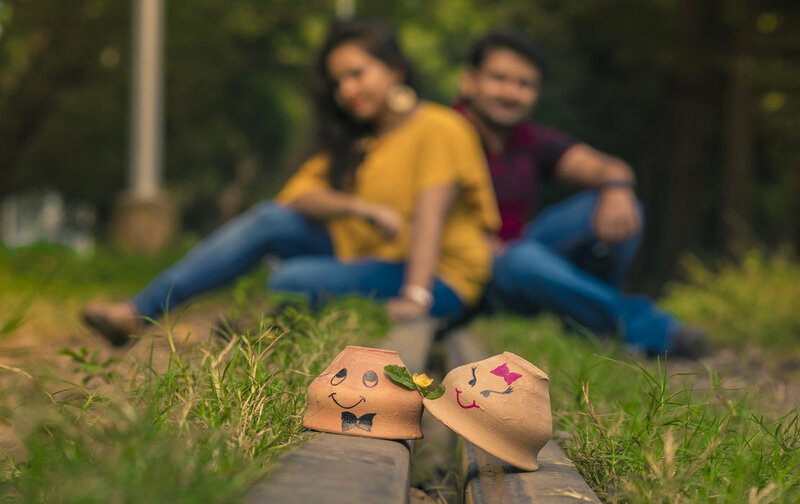 Pranab Sarkar Photography is really great team.speacially Pranab and Saniya they really love to capture candid moment.we are really happy to work with them.and there nature is really appreciatable.and the value of money is great.we have such a great experience with them. Helped with minute instructions to capture moments to it's best. The quality, resolution, light was perfect in most of the captures. One of our best wedding plans was choosing pranab sarkar photography. It was true professionalism and perfection. They were just fabulous. Will surely recommend to others. It is a amazing group, specially Pranab and Saniya both are doing great work.their group members are good enough.they have known what to do..they are very cooperative. Very proactive and creative crew. Quality clicks of pre-wedding, wedding & post-wedding. Enjoyed working with the team. They were always ready to incorporate our ideas and suggestions. Very nice team. They are very cooperative and cool. The photos are creative and outstanding,and budget also affordable. Best of luck pranab sarkar photography and team. ?? Good work done.They as a team rocks and always completed their work on time & efficiently.Overall,from pre-wedding to post-wedding we are happy with their delivery. Saniya is my fav photogrphr & pranab is succha good creative nd perfct sorts clickr..i truely love his srts?? His lovely behavior and most importantly photoshoot skills attracted more ND more people.. Excellent photography. Excellent innovative ideas.Very good photo quality. Punctual, very efficient,smart and very cooperative crew. Listens to client. Felt like family. It was a beautiful experience to have them as my special moment capturer..I am really satisfied with their work..the entire team is very friendly and they co- operated with us to a good extend..happy to had them.. ?? Your message was successfully sent to Pranab Sarkar Photography. The Photographer may contact you soon.